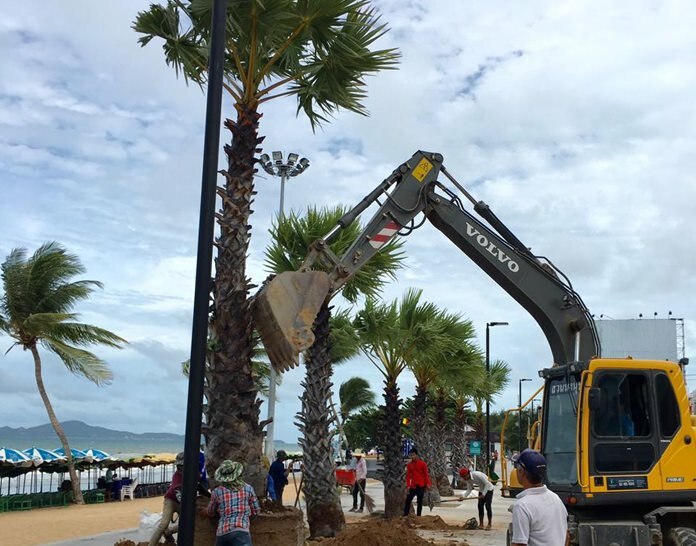 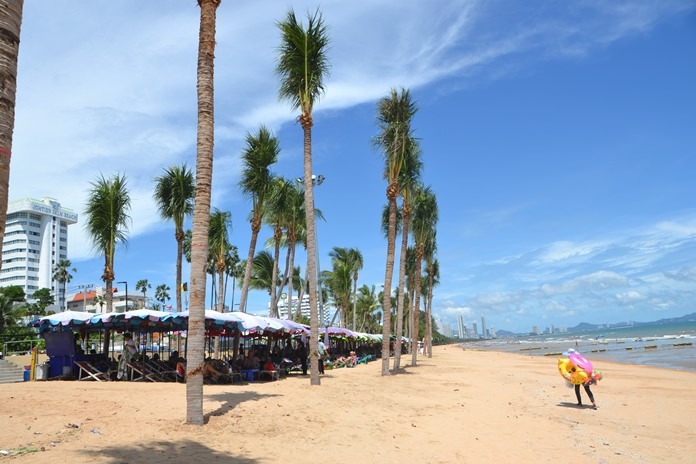 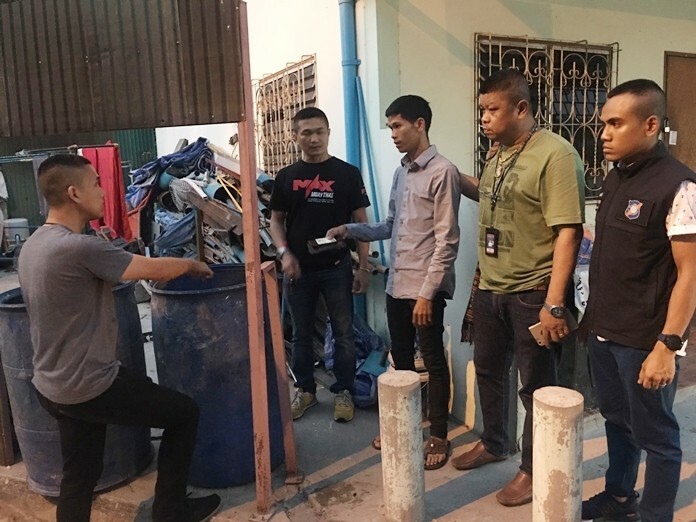 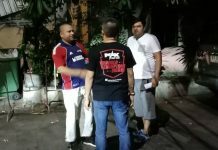 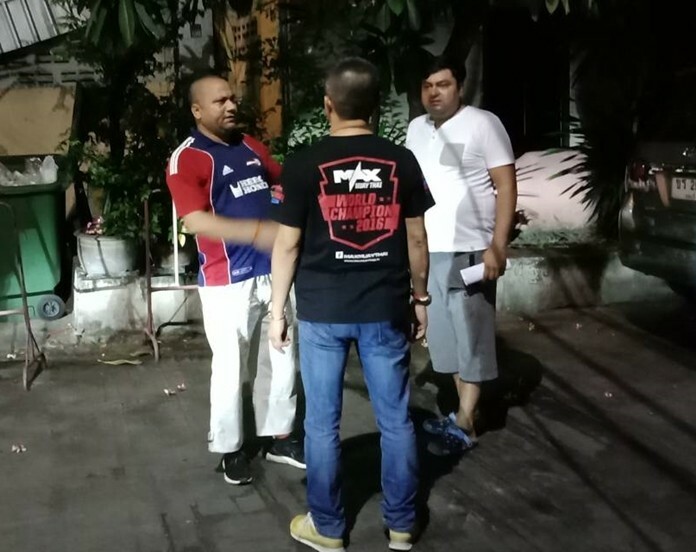 The transformation of Jomtien Beach continues with Pattaya City Hall planting more than 50 palm trees to beautify the shoreline. 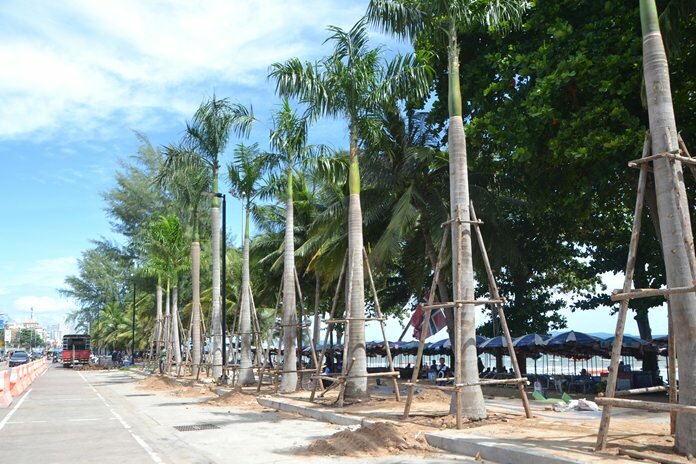 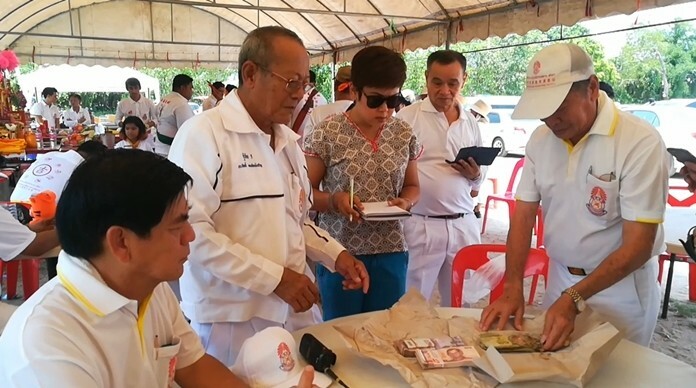 Staffers from Nong Nooch Topical Garden put in the trees from sois 1-6 along Jomtien Beach Road starting July 1. 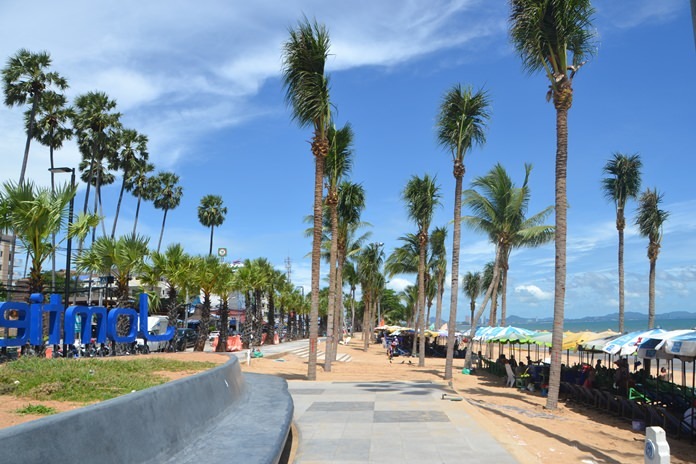 The trees planted included several varieties of sugar palm, coconut and palm trees to line the widened footpath along the beach. 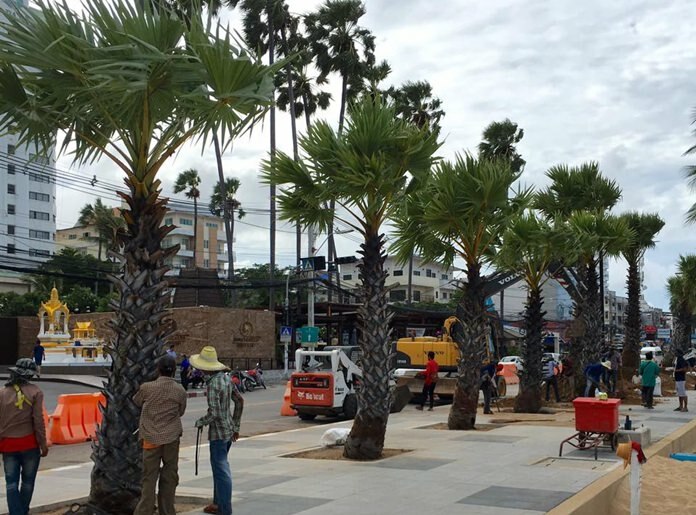 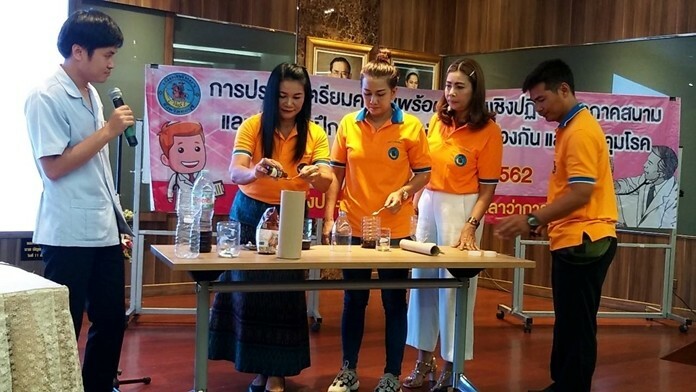 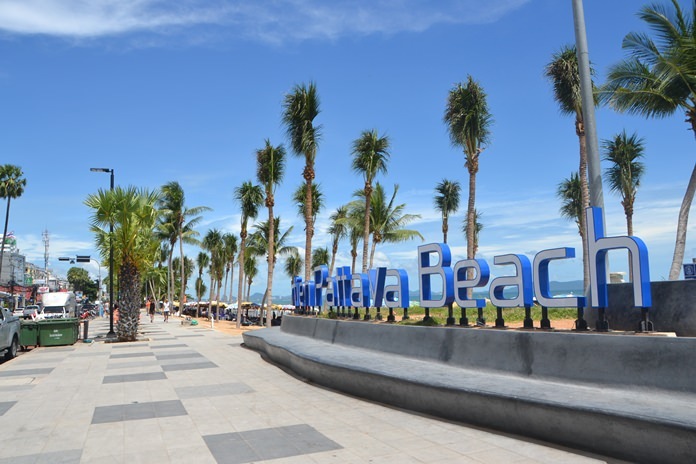 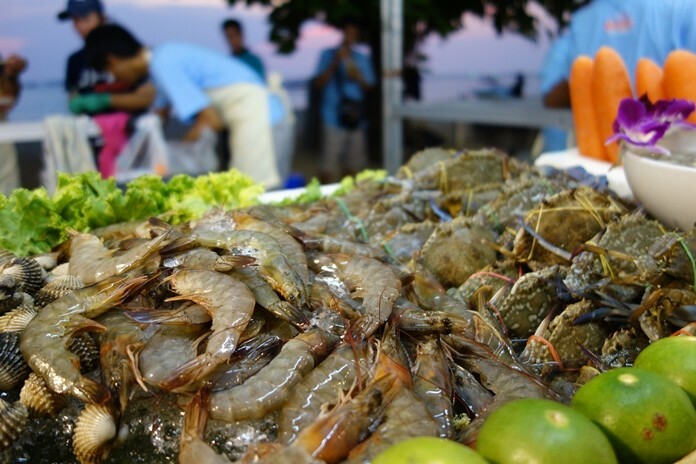 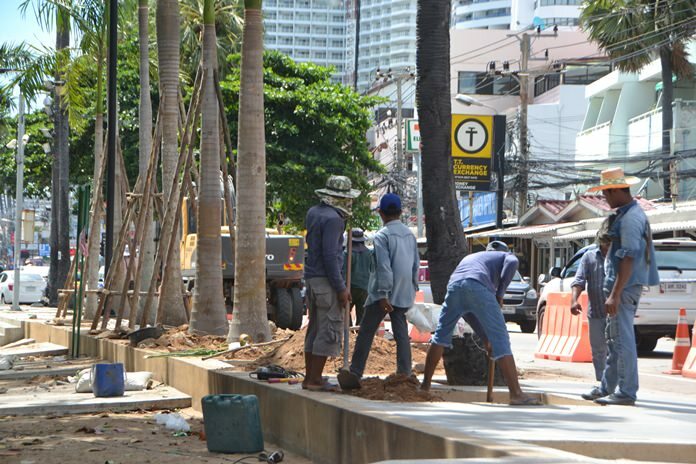 The planting follows the removal last year of dozens of large trees, some decades old, to allow for the 257-million-baht beachfront renovation project. 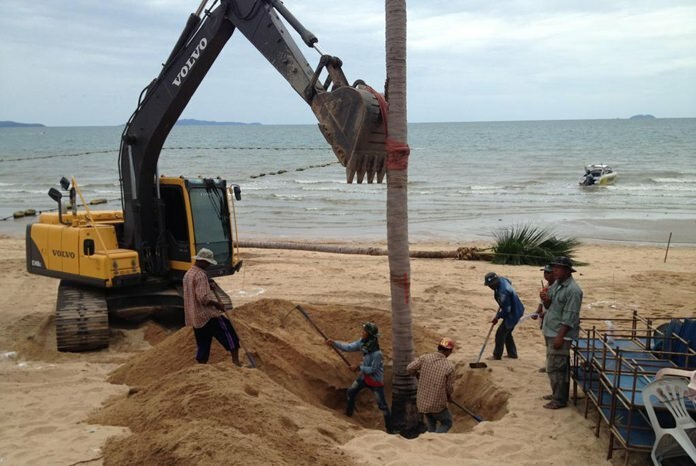 The project continues along four kilometers of Beach Road and will conclude next year.